With 300 feet of windows, the view is a big draw at this Hawaiian surfing-inspired venue. 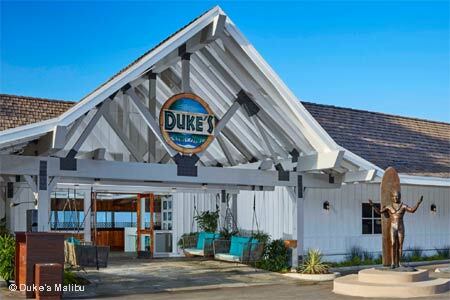 : Named after Duke Kahanamoku, the father of surfing, this oceanside Hawaiian-themed restaurant claims an incredible 300 feet of windows that capitalize on Pacific Ocean views. 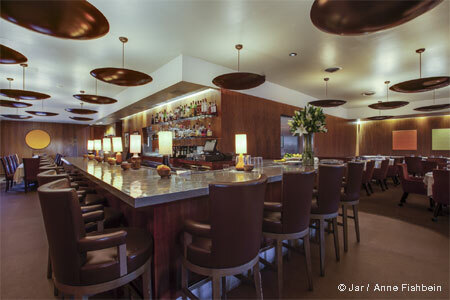 Start in the outdoor barefoot bar, with its palm-thatched tables and sandy floor, and you'll feel like you're in Maui. Once in the dining room, start with the slow-roasted mango barbecue baby-back ribs, crispy coconut shrimp with lilikoi dipping sauce, and ahi poke tacos. The Maui onion soup is a nice variation on the traditional dish, with sourdough croutons and Parmesan. Specialties lean toward fresh Hawaiian fish, such as mahi mahi, ono, ahi, opah and opakapaka that can be prepared a variety of ways, such as grilled with tropical fruit salsa or steamed in a banana leaf with ginger. The buffet brunch features Hawaiian-style ceviche, ham, fish and made-to-order omelets. The much beloved hula pie is made with macadamia nut ice cream on oreo cookie crust. Several menu-friendly dry white wines are available by the glass.